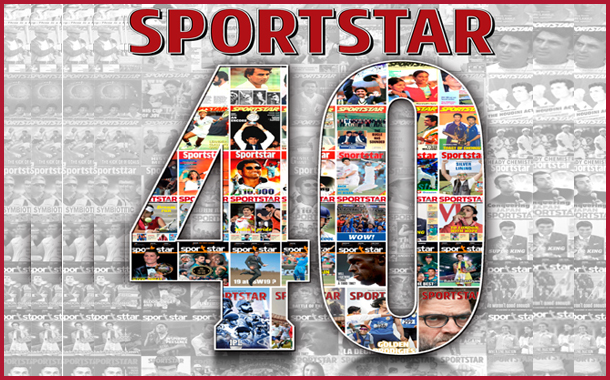 Chennai: Sportstar, the only multi-sport magazine published every fortnight in India, celebrates its 40th anniversary. A 108-page issue was released to commemorate this milestone. The Hindu Group, for long, has been an active patron of sports and was the first newspaper in India to introduce a standalone sports page in 1909. Sports & Pastime, a precursor to Sportstar, was first introduced in 1948. The 108-page issue will have long commentary pieces From some of the best and most-experienced sportswriters of the country doing a deep-dive into the growth and health of games like cricket, football, hockey, tennis and a few more. There will also be selected short interviews From 40 great Indian personalities – like Sachin Tendulkar, Kapil Dev, PV Sindhu, Dhanraj Pillay, Abhinav Bindra – talking about their love for the game. Our most famous columnists – Sunil Gavaskar, Greg Chappell, Brian Glanville, Geet Sethi, Karun Chandhok, Sunil Chhetri – toopen some special odes. There is also a time-line of 40 years, highlighting a top Indian sporting moment From every year of our existence. “In such an age, it’s a challenge for a sports magazine to stay relevant, but throughout our journey we have reinvented and re-vigourised our content to suit the palate of the changing times. We have been steadfast in offering our readers what they want to read, taking them closer to their sporting icons. Our journey has been made memorable because of the love and encouragement of our readers – who also include the top sporting personalities of the country. We want to thank our readers with this collector’s edition of the magazine,” says Ayon Sengupta, Editor, Sportstar. Since its inception in 1978, The Hindu Group’s Sportstar has continued to set high standards in sports journalism for decades. It is the largest read sports magazine in the country, with a young readership – 70% of readers are between the ages of 17 to 40. Admired and treasured for its invaluable editorial and pictorial content, Sportstar features extensive coverage and expert analysis of national and international sporting events as well as full length features on all forms of sports.